"Adler's Resonating Sounds was a vast experiment in sonority, using the orchestra as a giant laboratory, testing textures and effects; placing growling trombones against tinkling percussion or howling strings against choirs of woodwind." "The musicians juggle clusters together with echoes and harmonics. They manage to exist, to live through even the sound, which we can almost see it moving on the stage, driven by energetic drums and transported to the central spiral piano". "What blissful harmony they brought with them, too, with Jerusalem-born Ayal Adler's Resonating Sounds and Ramal by Kareem Roustom from Damascus both receiving a UK premiere. Adler's Resonating Sounds is a spider's web of delicately played instruments, even coaxing silky murmurs from the tuba. The strings are the soft centre to the brass and timpani crashing around the perimeter in a complicated but easy to listen to symphonic statement. "Ayal Adler’s Resonating Sounds refers, in the composer’s words, ‘to an echo, or a reminiscence of sound, lingering after the cast chords slowly fade away. 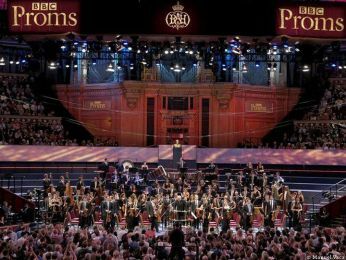 This sonic image opens the work as the whole orchestra plays an immense cluster, followed by a delicate string section of transparent melodic fragments in a high register.’ That is certainly what we heard at the beginning, from a considerably enlarged orchestra. Now it was time for the WEDO to display precision of a somewhat different kind, but also orchestral fantasy. 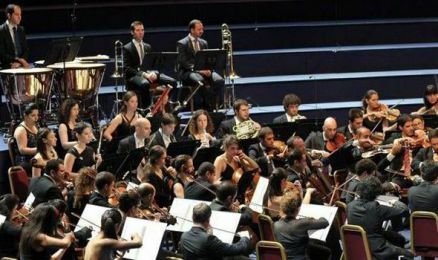 Although the opening is generally led by strings, other instruments join, with a considerable role for percussion, both tuned (including piano) and untuned. Trombone slides make there presence felt, alongside a barrage of other colouristic effects, often, in Adler’s words, ‘merging and melting into one another’." "Adler’s Resonating Sounds came from a far less familiar harmonic world, exploring abstract instrumental textures and effects in waves of glorious, shifting sound". "Resonating Sounds by the Israeli Ayal Adler proved to be a slithering, shimmering processional, confidently deploying a very large orchestra." "Prior to an unconventional evening"
Ayal Adler. New work written especially for the ensemble and pianist Amit Dolberg. "Ayal Adler's work Expanses for Piano and string orchestra, written specifically for the Tel Aviv Soloists Ensemble and pianist Amit Dolberg, will be World premiered at our upcoming concerts from the end of next week. The first rehearsal of the pianist and myself already took place a few days ago, and we look forward to getting started the rehaerslas with the entire ensemble. It will be interesting, exciting and unusual." 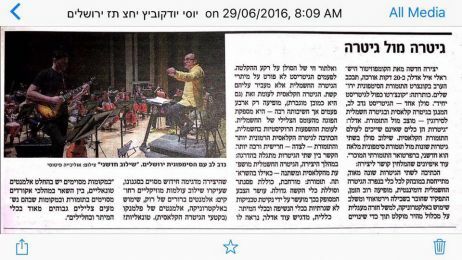 "Within his work "Quintet for Piano and Ensemble", Ayal Adler continues to reveal his precise musical aesthetics. His use of "sonoric envelopes",not merely for aesthetic needs, demonstraes strict and formal responsibility". (Jury Comments). 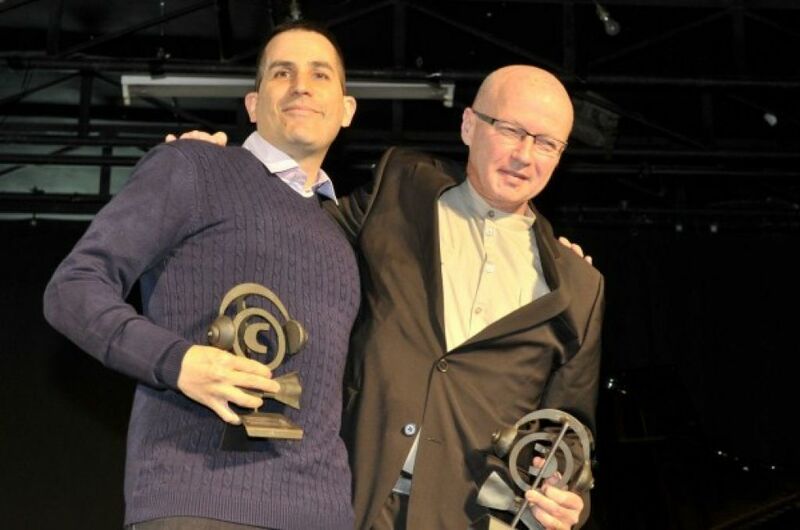 In the picture: Recipients of the Prize, Ayal Adler and Eitan Steinberg. 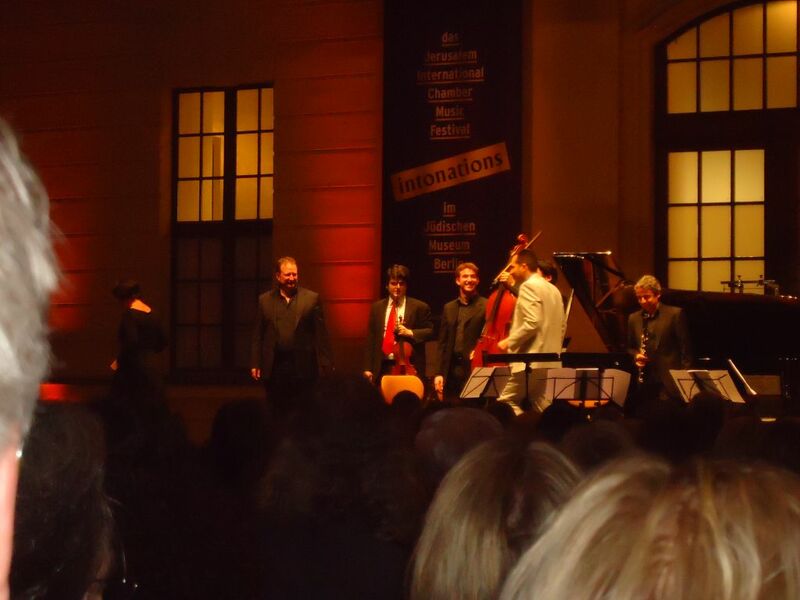 We are delighted to welcome you to the Sixteenth Jerusalem International Chamber Music Festival. This year, we have chosen to explore the ‘Quintet’. We shall be listening to some of the greatest musical creations of the classical and romantic composers – the quintets of Mozart, Beethoven, Schubert, DvoÅ™ák, Schumann, Brahms, Franck and Shostakovich together with lesser known but equally great quintet compositions such as those by Bartók, Elgar and Ligeti. Joining this illustrious roster, a new Quintet by Israeli composer Ayal Adler will receive its Israeli premiere, a co-commission with the Festival’s ‘younger brother’, the 2nd JCMF Berlin Festival which took place with great success in April at the Jewish Museum in Berlin. Ayal Adler’s Colors of Dust is one of many tantalizing items in this year’s Chamber Music Festival. Not that anyone would entertain even the slightest notion of leaving in the middle, but members of the audience at the September 2 performance of Ayal Adler’s Colors of Dust would be well advised to stay firmly ensconced and focused until the end. 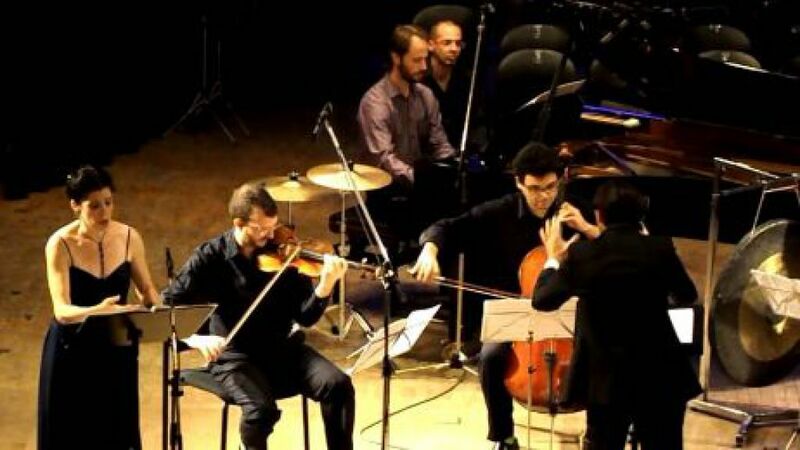 The concert is one of many tantalizing items in this year’s Jerusalem International Chamber Music Festival, which is comprised of 50 compositions, the majority of which are based on a quintet format. Today, classical works tend to go by all manner of intriguing, not to mention enigmatic, titles, and Adler’s work certainly pertains. “It is one of those titles that you only begin to understand after you have finished writing the composition, when you realize what you have done,” says the pianist-composer. “This is a very dynamic work.” As mentioned, Colors of Dust offers a denouement that is well worth waiting for. “I don’t want to give too much away, but there is a kind of twist at the end,” notes Adler. “There is some very dramatic and very passionate music in the work, which is followed by significant changes in the textures, shades and intensity. There is a change in the entire ambience, and the whole thing becomes a bit capricious and surrealistic, and very delicate, and everything disintegrates.” That is largely achieved by flexing the sonic range. “The last part starts out with very low registers, and the sense is somewhat dark, with a sort of micropolyphonic approach with intricate textures, and it gradually rises until it reaches the top range each instrument is capable of producing. It’s almost a range that doesn’t exist. I tried to get to the most ethereal element possible,” he says.Some of that endeavor requires the musicians to exert themselves physically as well.“The pianist, for example, plays on the piano strings to get a bell-like sound,” explains Adler, “and the clarinetist makes a blowing sound, with a kind of singing element.” By all accounts, it looks like the members of the audience will embark on something of a magical mystery tour. Colors of Dust comprises one large movement, divided into smaller sections, and is played without breaks. The inner machinations of the work are highly dynamic, and the composer integrates constant transformations of harmony, rhythm, tempo, tone and color. 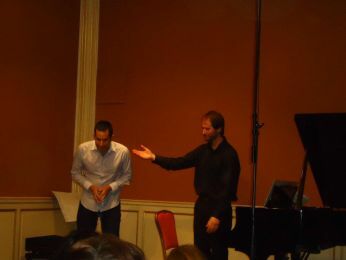 He uses various coloristic techniques, such as microtonal vibrati and trills and playing on the bridge of the violin and cello. Amotz and Moragues will add further drama through overblowing. 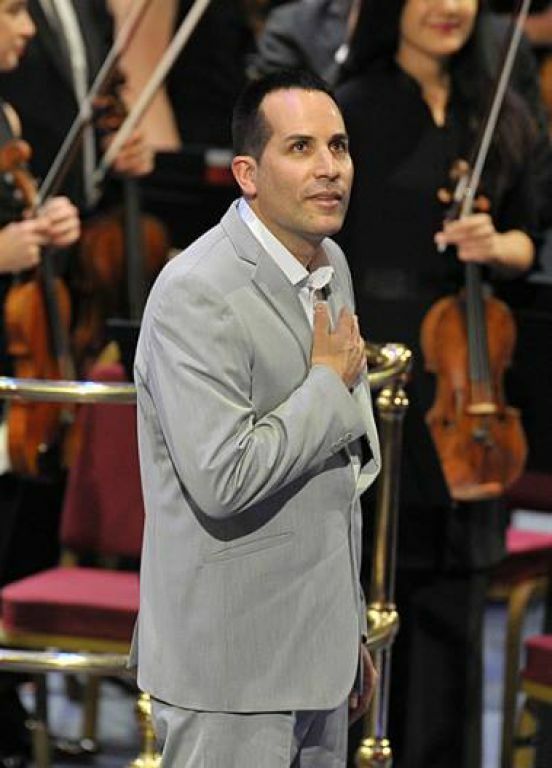 The composer says he will be delighted to take his Jerusalem audience on an expedition to some unknown sonic and spiritual destination, adding that he experienced something similar in the creative process. “This was one of those works that you start to write and you really have no idea where it will all end up. I really like that sort of thing. There are works where you start out with some sort of general idea, but often you don’t know how things will pan out. With this composition, about two-thirds of the way through the players start to produce sort of orchestral chords, and the whole thing increases in force, even though there are only five players. There is a sort of set that is repeated five times, and each time it becomes some sort of scream,” he says. 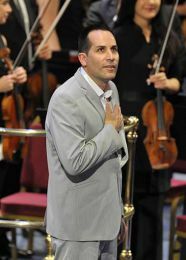 Adler admits to deliberating over the instrumental makeup of the ensemble. “I considered having percussion in there, but in the end I decided that, even though the instruments are predominantly melodic, they suited this kind of writing. 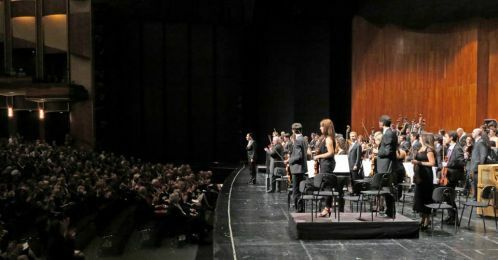 I felt the colors had to come out of the writing itself rather than coloring the music externally.” The upcoming concert will actually be the piece’s second airing. It follows a successful performance at the Jewish Museum in Berlin in April. “The concert in Berlin was very successful,” notes Adler. 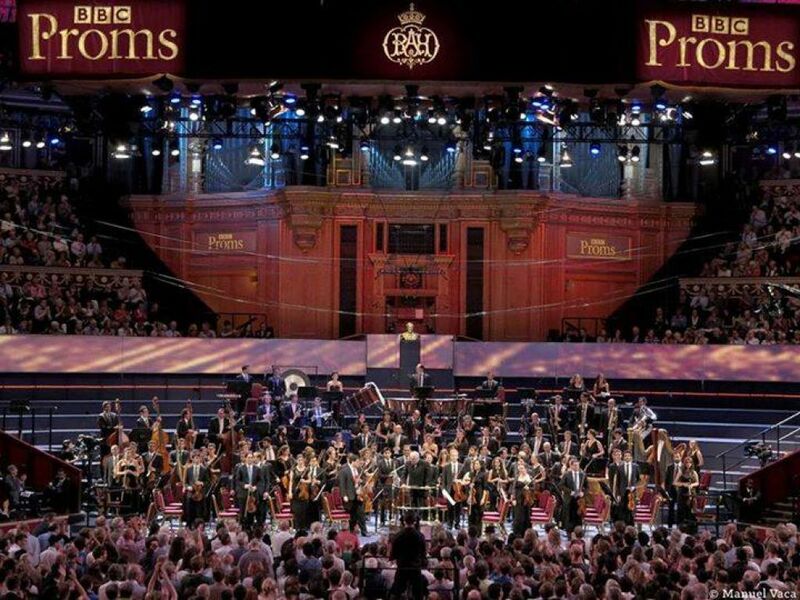 “The audience responded very well.” Violinist Barenboim also contributed to that performance. “I was a bit nervous before the rehearsals, but it was a very smooth process, and the musicians handled the work very well. And the venue, with its high ceiling, suited the work perfectly,” he says.The Berlin date was not Adler’s first professional foray to Germany. His Gate of Darkness composition was one of the works played in the Wannsee Recordings concert in the Berlin suburb where the infamous Wannsee Conference took place on January 20, 1942. 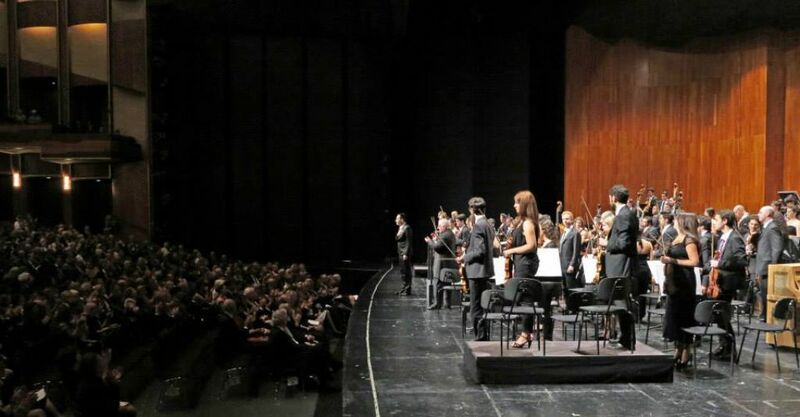 The concert was held there on the 67th anniversary of the conference. “That was an emotional experience,” says Adler. “We are in some way connected to the Holocaust, aren’t we?” Although the Jerusalem setting is very different, the performance of Colors of Dust promises to be an emotional affair as well. For tickets and more information about the Jerusalem International Chamber Music Festival: (02) 652- 0444 and www.jcmf.org.il. "Adler.. focuses on the colorful spectrum of orchestral tones, and his creation is the most avant-garde piece of the season".
" 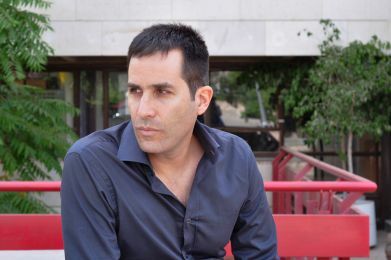 A work by Ayal Adler, Misterioso ("mystery") for piano shows a space between the vague and concrete. Colorful world, quiet but frantic. Often emerges from a quick phrase, a very "Israel" shade, yet never vulgar, nor breaking the mystery. 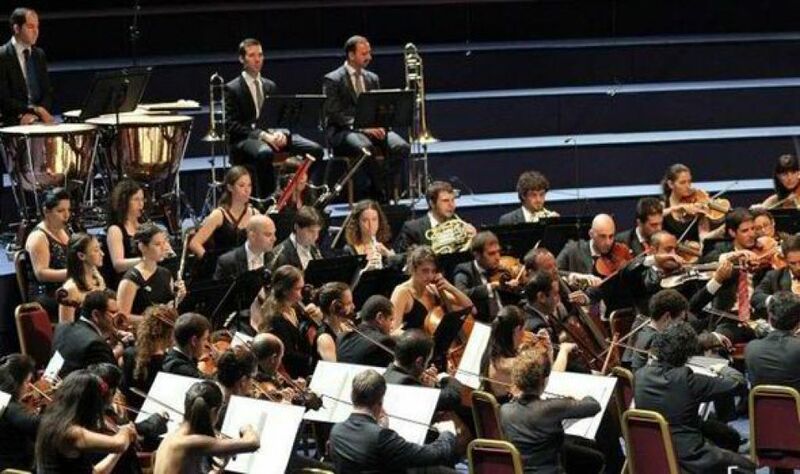 In Adler's work, and the work of Luigi Nono, Messiaen's spirit lies". "The work is based partly on the modal patterns of traditional Armenian music and those embedded within the modern harmonious environment, with the presence of background tonic, emerges and disappears again. At times the piano resembles antique oriental string instrument - and highlighted its most essential feature being "Fianoforte" and its ability to provide conflicts of light and shadow". Two songs of David Vogel, "As night approaches " and " before the dark gate", composed by Ayal Adler, from mezzo - soprano addictive Ayelet Amotz, are creating increasing pleasure wheever I listen to them. I am especially moved by the first song ("as night would go to your window / Get him / naked / soft Wiesel and be drowned / around the silent beauty / and touch the tips of your breasts").